Jan Here: Ten years ago on this date, I posted a review of Adrienne Shelley's wonderful film Waitress on a site called The Digital Filmmaker (now defunct). My review ended as follows: "For her family and friends there can be no consolation, but those of us who will only know Adrienne Shelly by her work can still hope that the story of Waitress has a suitably happy ending." Ten years later, as Waitress continues its Tony-nominated run on Broadway into a new year, its future prospects are brighter than ever. Now that is a happier "happy ending" than even I could ever have anticipated! Click here to download my original review for The Digital Filmmaker as a PDF file. Click here to read my review of Waitress in my book Penny's Picks: 50 Movies by Women Filmmakers (2002 -- 2011). Click here for a report on my March 2016 trip to see Waitress on Broadway with Livingston High School friend Ann Weil Feldman (accompanied by hubbies Richard Feldman, & Richard Bayard Miller) draped in swanery by Joanna Aleksandrova-Petrova. Click here for affirmation from Playbill on 1/26/17: "Waitress is Officially a Hit: Recoups After 10 Months on Broadway (Sara Bareilles’ musical pays back its investors.)" Click here to learn more about Betsy Wolfe, the actress who takes over the role of "Jenna" on Broadway starting on June 13. 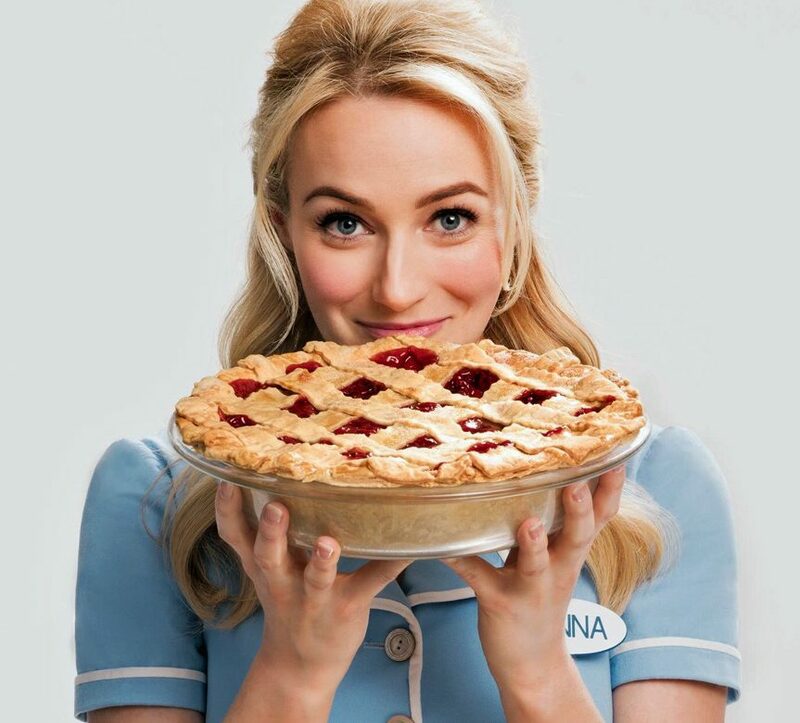 Waitress will begin its US national tour at Cleveland's Playhouse Square in October. Top Photo: Keri Russell created the original "Jenna" on screen way back in 2006. Middle Photo: Russell with Cheryl Hines as "Becky" and Lew Temple as "Cal." Bottom Photo: Russell as "Jenna" gives "Dawn" (Adrienne Shelly) the Ladies Room YES YOU CAN speech. Writer/Director Adrienne Shelly cast herself in this supporting role as "Dawn," which is how she will always be best remembered now. She was murdered on November 1, 2006. She never saw Waitress make its debut at the 2007 Sundance Film Festival in January (even though she did know it had been accepted), but the fact that it is now a bona fide Broadway "hit" is proof her Waitress has stood the test of time and outlasted the circumstances that darkened its initial theatrical release on "the big screen." From one Jewish Girl to Another: Adrienne, May your memory be for blessing! ORDER YOUR TICKETS TO WAITRESS NOW! 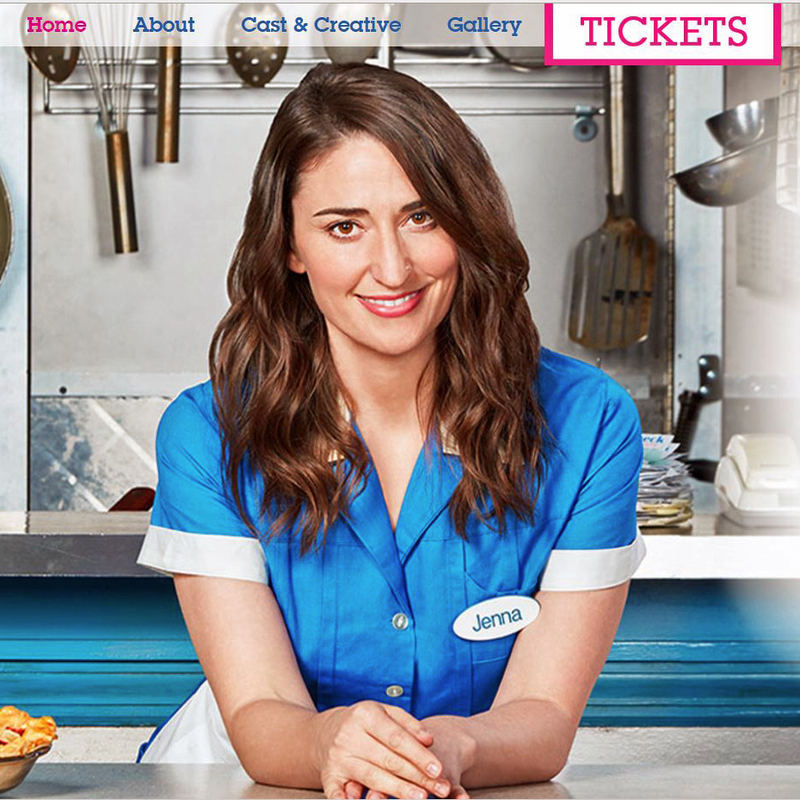 Sara Bareilles (above) is currently staring in the role of "Jenna." Bareilles -- Waitress's composer-lyricist -- replaced Jessie Mueller who created the role of Jenna on stage.